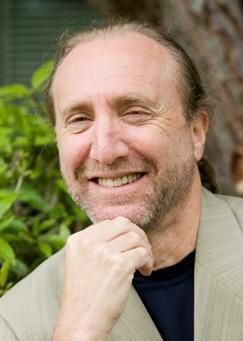 Bob Livingstone, psychotherapist and author, talks about building kids self-esteem. Bob Livingstone is a Licensed Clinical Social Worker and author of The Body Mind Soul Solution: Healing Emotional Pain through Exercise. A psychotherapist in private practice in San Francisco, Mr. Livingstone has been featured in The Dallas Morning News, The Hartford Courant, The Miami Herald, The Saint Louis Post-Dispatch, USA Today, The San Francisco Chronicle, MSN, The Christian Science Monitor, The Chicago Sun-Tribune, Natural Health Magazine, The Library Journal, Grand Magazine, Positive Thinking Magazine, Lee's Summit Journal and Womansday.com. He offers the following advice on building self-esteem in kids. Please tell us about yourself and your experience. My name is Bob Livingstone, and my new book is titled The Body Mind Soul Solution: Healing Emotional Pain through Exercise, Pegasus Books, 2007. The book is now in its second printing! I am a psychotherapist in private practice in San Francisco, and I have twenty years experience working with adults, adolescents and children. The issue of not having much self-esteem resonates with me on a personal as well as professional level. Two memories of having my self-esteem crushed when I was a child and teenager are still quite vivid. When I was in fifth grade, my teacher announced in front of the entire class that I was the dumbest kid she ever had in her class. She had been a teacher for a hundred years, so her comments cut deep and made me ashamed of being alive. During my freshman year of high school, the guidance counselor held a meeting with me and my parents. She informed us that according to certain standardized tests, I was not smart enough to attend college and therefore had no business taking college preparatory classes. She suggested that I take vocational classes instead. In spite of her advice, I signed up for college prep classes and proceeded to fail most of them. This was because deep down inside I believed my guidance counselor and fifth grade teacher were accurate in measuring my intellectual capacity. It took me years of struggle and help from others who really cared about me to overcome this low appraisal of myself. It turns out these school based professionals that I had placed my trust in were wrong. I eventually achieved academically in college and graduate school. I have a successful psychotherapy practice, have written two highly praised books and have been married to the same woman for almost 36 years. What are some warning signs that indicate a child has low self-esteem? The child makes self-loathing comments such as "I am ugly, stupid, and not good in sports and no one likes me." The child makes no effort to play with other kids at recess. He/She plays by himself or reads instead. He lacks the social skills to make friendships so therefore he has difficulty making friends and as a consequence, he feels poorly about himself. He is reluctant to try new activities and rarely steps outside his or her box. She will underachieve in school, athletics or other activity because he/she is so fearful and expectant of failure, she does not put forth much effort. She would rather do poorly without putting in much work than risk not measuring up to her own and her parent's expectations if she actually put forth a major effort. What do parents and other adults sometimes do to contribute to a child's lack of self-worth? When parents encourage dependence instead of independence. If for example, a parent doesn't expect his child to do any chores around the house, the child will feel that the parent feels that he is incapable of helping and therefore his self-esteem will be adversely affected. If parents call their children names even in jest, this can cause a child to feel poorly about herself. If parents are inconsistent or totally lacking in behavior management, child self-esteem can be harmed. While all children protest limits and boundaries, these limits and boundaries also lead kids to feel secure and safe. Physical and emotional abuse/neglect will definitely cause a child to feel poorly about herself. What can parents and educators do to help a child who is struggling to fit in at school? The most important thing here is to establish great communication between you and your kids. Don't be judgmental and don't panic if she tells you that she is not fitting in. Ask her why she is not fitting in-it usually has to do with being ostracized by one other child or a group of kids. Discuss problem solving techniques with her. She may really dislike school and feel that she doesn't fit in because she hasn't discovered any academics, sports, clubs or social activities or after school programs that she feels passionate about. Explore all the possible options with her. How can adults help a child feel good about himself/herself? Always encourage independence because repeated tasks completed with minor parental assistance build self confidence and self-esteem. Do insist that your child completes activities he signs up for(unless that activity is clearly inappropriate or dangerous). Allowing him to quit before the activity such as being on a baseball team before the season ends gives him the message that when life gets difficult, you can always quit. It also gives him the message that he is incapable of finishing. Practice active listening skills in order to encourage your kids to talk about how they are feeling about themselves. You can model this by sharing your experiences of having low self-esteem as a child and what you did to change this state. It is important to praise her if she does well, but it is more essential to ask her how she felt about her latest accomplishment. You want to help your children internalize their positive experiences so that they will have those memories to fall back on when life becomes difficult. Teach your children that they will be faced with tasks that are difficult and will require perseverance to finish. When should parents seek professional help for their child? The child has symptoms of depression or anxiety. Frequently kids with these symptoms have low self-esteem. Talk of wanting to self injure or kill himself, lack of interest in activities that were once exciting, feelings of hopelessness, change of appetite, changes in sleep patterns, loss of energy, irritability, physical symptoms such as back and stomach aches and lack of concentration. Feelings of apprehension or dread, trouble concentrating, feeling tense and jumpy, anticipating the worst, and watching for signs of danger. A child experiencing low self-esteem will not necessarily display overt signs that he is hurting inside. There is a negative stigma in our society attached to kids who don't excel academically, athletically and socially. Children and teens have a very difficult time admitting to others that they may not feel good about how they are because it makes them more vulnerable to personal attacks. They also don't want to be perceived as "problem children" and don't really believe that others can help them with this private anguish. Therefore, as parents, it is important to spend time effectively communicating with your children. You also want to make sure to enjoy them and have as much family fun time as possible. Be real with your kids and let them know that you have experience overcoming adversity in your lives. Feel free to share your struggles with them, but don't lecture them. Long speeches are not an effective or inspiring technique. Notice when they are no longer paying attention so you can change the subject to something they may be excited about. Please check out my website Bob Livingstone. Thanks!